You CAN Grocery Shop With Kids and Stay Sane...I Promise! You CAN Grocery Shop With Kids and Stay Sane…I Promise! Home > Blog > You CAN Grocery Shop With Kids and Stay Sane…I Promise! 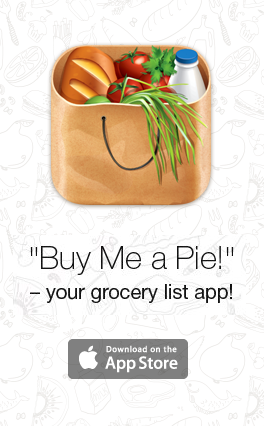 Share the post "You CAN Grocery Shop With Kids and Stay Sane…I Promise!" It’s important to always start by telling your kids your expectations of them during the shopping trip. Will they get a treat or a toy? How do you want them to behave? Be specific, from if they are expected to ride in the cart (and stay seated) to the volume of their voices inside the store. Children thrive within boundaries. If they don’t know what to expect they don’t know how to act. There have even been shopping trips when I told my kids to not even ask for anything at the store. It just depends on what you need from them at each trip (though some rules will be in place for each trip, like using inside voices). Be sure to explain all of this before going in the store and if possible at home (but in the car on the way will work too). Kids love to help. Give them the most mundane job and they attack it with gusto. 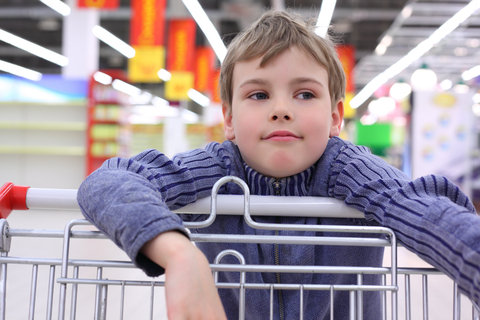 The grocery store is the perfect place to give kids a job. It will keep them occupied and entertained which means you can focus on your shopping a bit more. There are a few ways your little ones can help. What you choose may be determined by their ages and how much you want to manage them. What kid doesn’t enjoy playing games? If you plan ahead you can prepare a scavenger hunt for your children to keep busy with in the store. Write the name or draw pictures (depending on age) of items you can find in the store. Each child gets a list and something to write with. As you go through the aisles the children cross off each item they find. You can make it a competition, offer a prize, or just allow them to have fun with the game itself. If you don’t have time to make a list turn your list into a game by seeing who can find the next item first. Just like you shouldn’t shop on an empty stomach (or risk buying things you don’t need) neither should your children. If you take kids to a store full of food, including treats and junk marketed right to them, on an empty stomach, you’re asking for fits and meltdowns. Try to give your kids a meal or snack that contains a good balance of carbs, fat and protein to keep them satisfied and their blood sugar stable. If your kids demand food even if they’ve eaten (remember to outline your expectations) pack a small snack that is easy for them to carry and eat and hopefully not make too big of a mess in the store. The last bit of advice is to keep them engaged. Talk to them about things you see or need to buy. Ignoring them will cause them to act out. Keep all of these tips in mind and you can make grocery shopping with your kids simple and maybe even fun!